The cost of a life-saving drug to treat cystinosis – a rare disease affecting probably 100 people across Canada – is soon to rise from $10,000 per year to more than $300,000 annually. The new form of the drug, Procysbi, contains the same active ingredient as the old form of the drug, Cystagon. It differs only in that it contains a new coating, enabling a slower release of chemicals into the body. Reforms to the Patented Medicine Prices Review Board (PMPRB), a federal agency that sets a maximum introductory price for new patented drugs, could help rein in this type of increase. 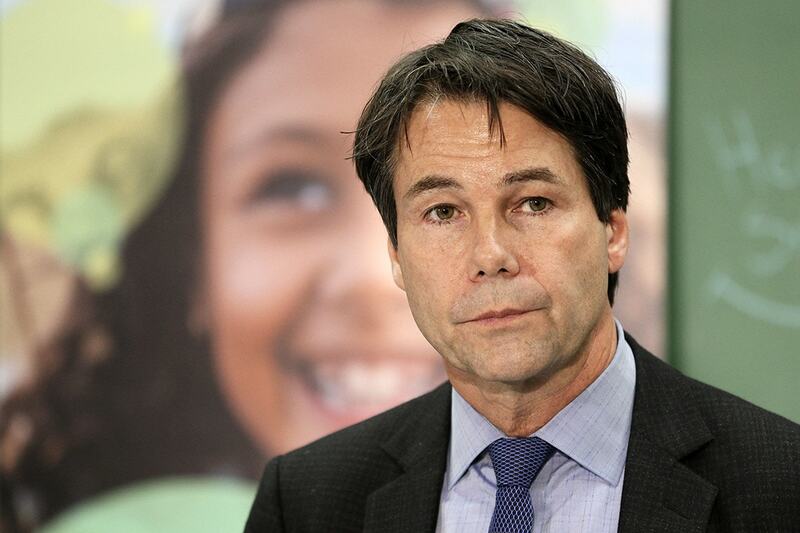 But a coalition of patient groups, some partially funded by drug companies, want Canada’s health minister and Health Canada to stop this reform process. They argue that lowering drug prices in the manner proposed could limit access to new drugs. The drug companies are backing them up. IMC and its predecessors have been making the same type of veiled threat since the early 1970s, when Manitoba introduced its public drug formulary, a list of drugs the province would cover. While there are drugs that are not sold in Canada, the reason is the relatively small Canadian market, not the price. In fact, when it comes to paying for prescription drugs, only the United States and Switzerland outspend Canada on a per capita basis out of 31 industrialized countries in the Organization for Economic Co-operation and Development. There are now 19 drugs on the Canadian market that cost $50,000 or more per year, compared to just six a decade ago. And, contrary to what IMC claims and what the patient groups seem to believe, only one in 10 new drugs are actually major therapeutic improvements. The dramatic rise in the cost of treating cystinosis – a genetic disease that causes kidney damage – reflects the dysfunctional nature of the way Canada controls drug prices. Up until now, the treatment has been a product called Cystagon that must be vetted by Health Canada on a patient-by-patient basis since it’s not approved for sale in Canada. Now the newer version of the drug, Procysbi, made by Horizon Pharma – and taken twice instead of four times daily – is being marketed in Canada. With the advent of Procysbi, the cheaper Cystagon will no longer be available to Canadian patients. Under the current rules enforced by the PMPRB, Procysbi is treated as a “breakthrough drug,” which is why the 3,000-per-cent price increase was permitted. Again, the only difference between Cystagon and Procysbi is the latter has a special coating enabling its release into the body more slowly. All of the basic research and development of Procysbi was financed by patient groups, not drug companies. Horizon Pharma has not publicly offered any reason for the price it plans to charge. The company is going to offer the drug for free for a limited time, but what happens when that option ends? This isn’t the first time there’s been sticker shock about drug prices in Canada. In September 2017, the PMPRB ordered Alexion Pharmaceuticals to lower the $700,000 annual cost of Soliris, used in the treatment of rare blood disorders. The pan-Canadian Pharmaceutical Alliance, a coalition of provincial and federal drug plans, bargains with companies for lower prices and is in negotiations with Horizon Pharma. But even if it can secure a discount, that will only apply to what provincial drug plans pay. Private drug plans and people paying out of pocket, assuming anyone could actually afford Procysbi, will not get the discount. A national pharmacare plan could help to bring some order to the chaotic world of Canadian drug prices. Everyone in the country would be covered under a public plan and benefit from the lower drug prices that would be achieved. Pharmacare doesn’t necessarily mean that drugs will sell for pennies. But based on the experience in other countries, we will be much better off. If companies don’t like the price being offered, then they could still try to sell their drugs to those who could afford them, but the market would typically be very small, encouraging the companies to lower prices. However, Finance Minister Bill Morneau doesn’t seem interested in a universal pharmacare plan, preferring to try to fill gaps and add to the patchwork in the existing system, although now he seems to be backing off from his initial comments. Perhaps people with cystinosis should ask Morneau to cover their costs. Joel Lexchin is a board member of Canadian Doctors for Medicare, professor emeritus of health policy and management at York University, and associate professor of family and community medicine at the University of Toronto.